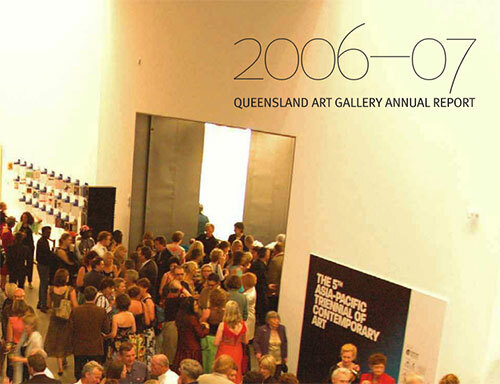 Argentine artist Tomás Saraceno’s large-scale installation Biosphere of interconnected spheres was a main feature of ‘Harvest’ in 2014. 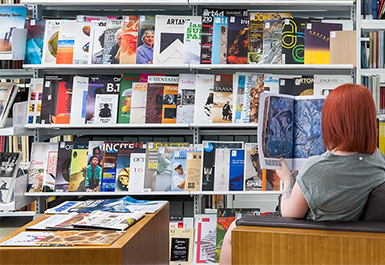 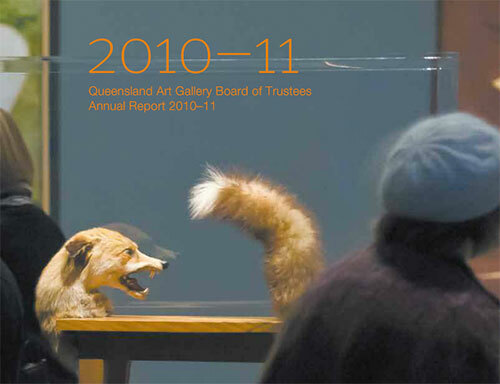 QAGOMA documents its objectives in its strategic plan, and reports against these in the corresponding annual report. 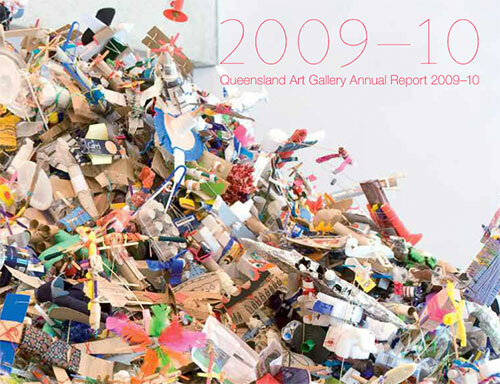 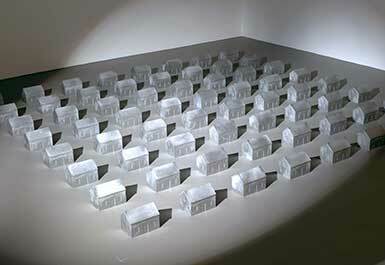 The annual report also includes lists of exhibitions and acquisitions for each year. 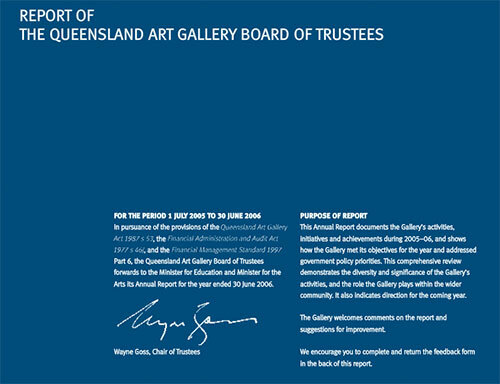 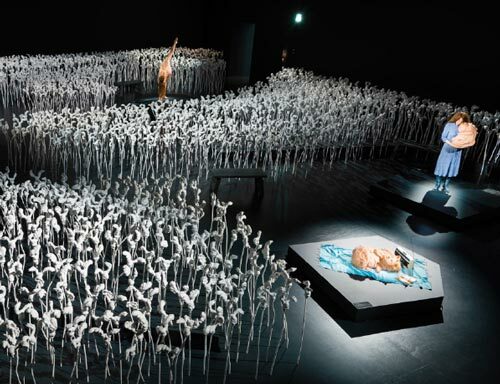 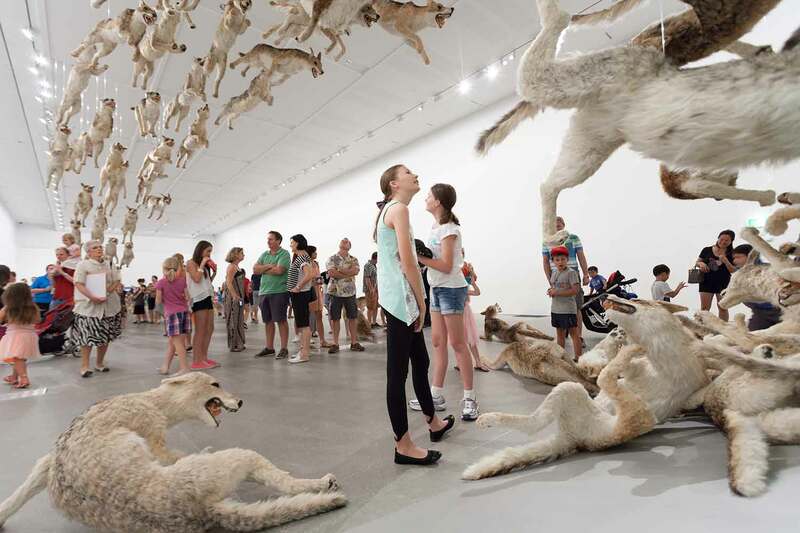 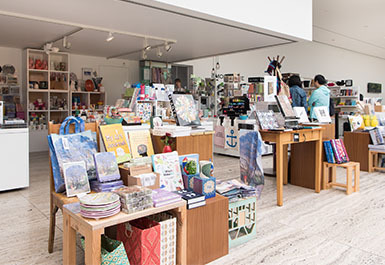 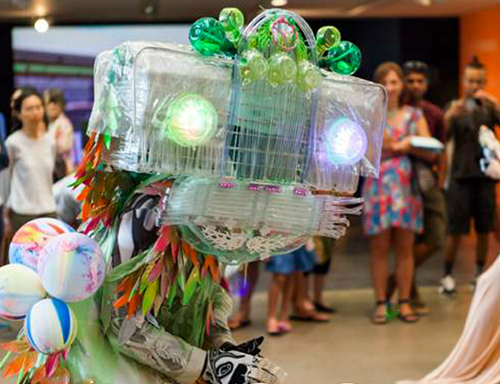 Quarterly reports provide information about how QAGOMA is achieving its key performance indicators. 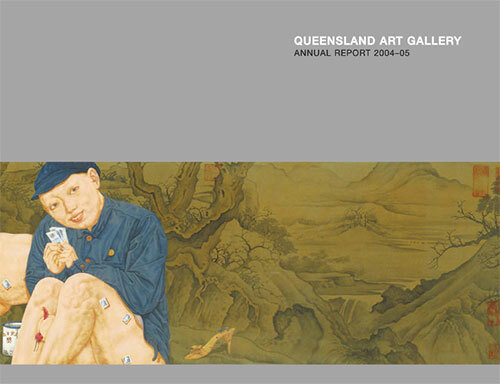 DISCLAIMER The Annual Reports presented on this page are provided by the Queensland Government for information purposes only. 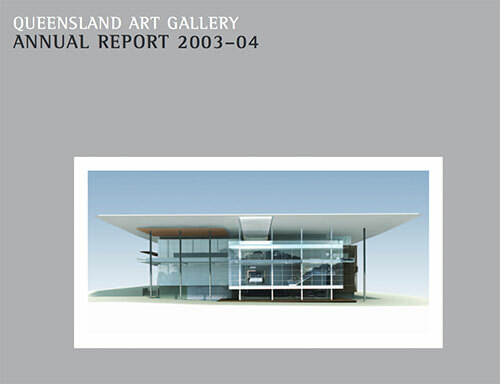 Users should note that the electronic versions of the annual reports including financial statements on this site are not recognised as the official or authorised version. 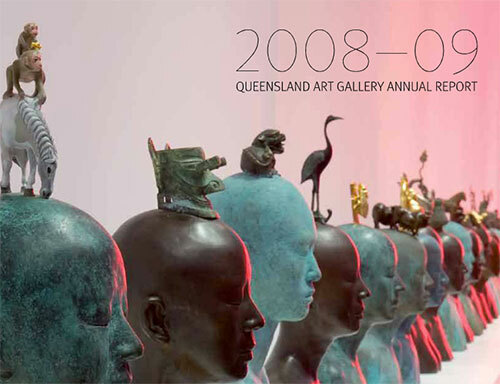 The electronic versions are provided solely on the basis that users will take responsibility for verifying their accuracy, completeness and currency. 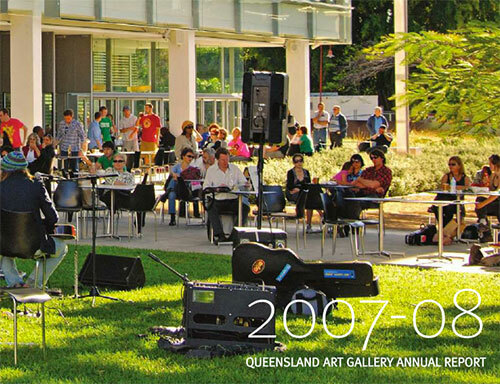 Although considerable resources are used to prepare and maintain the electronic versions, the Queensland Government accepts no liability for any loss or damage that may be incurred by any person acting in reliance on the electronic versions.